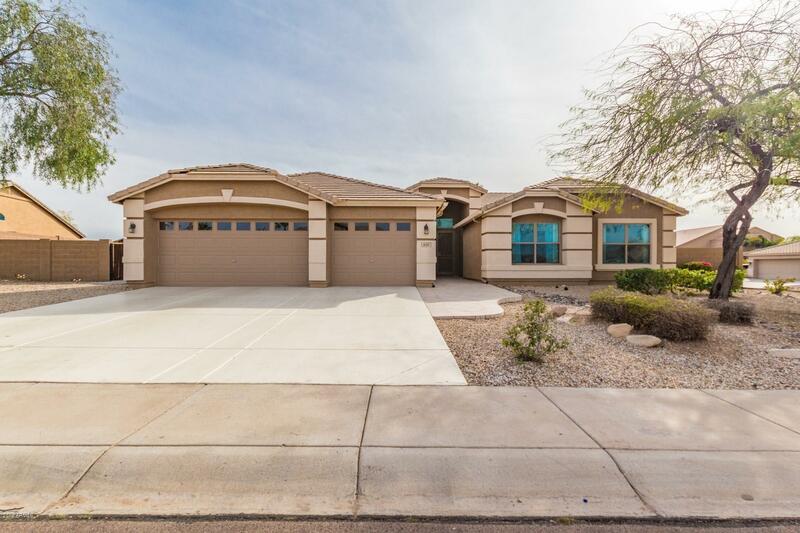 All IRONWOOD PHASE 3B homes currently listed for sale in Peoria as of 04/24/2019 are shown below. You can change the search criteria at any time by pressing the 'Change Search' button below. "Beautiful 4 Bedroom + Den, 2.5 Bath, Single Level Home Located on Premium Half Acre Lot, Formal Living & Dining Room, Open Kitchen w/Granite Countertops, Smooth Cooktop, Wall Ovens, Walk-In Pantry, Kitchen Island w/Breakfast Bar and Eat-In Kitchen, Spacious Family Room w/ Gas Fireplace, Master Bedroom w/Large Walk-In Closet, Master Bathroom w/Dual Sinks, Custom Walk-In Shower and Jetted Tub, Split Floor Plan, Extended Covered Backyard Patio, Outdoor Kitchen Area w/BBQ & Raised Bar Top, Sparkling"